Makati is the Central Business District of Manila, and everyone and everything, from the people to the skyscrapers, looks dressed to impress. It's not all business though—Makati is one of the most high-end and cosmopolitan areas in Metro Manila. This city is definitely made for the ultimate Filipino urban socialite. Makati is home to many of the Philippines' largest companies, as well as the headquarters of the Philippine offices of international companies. Working in Makati means big bucks and an abundance of networking opportunities. Tall buildings, big malls, high life—corporate on the streets, but plenty of chill holes-in-the-wall to discover. Fast-paced, from business to nightlife, with spaces to relax like parks, quiet restaurants, and bars. Cosmopolitan living mostly catering to business types and jet setters. Cheap rent, lots of open space, easy commute. The history of Makati goes all the way back to 1851, when Don Jose Bonifacio Roxas, an ancestor of the Zobel de Ayala Family, bought the Jesuit estate of Hacienda San Pedro de Macati. The rest is history, with the development of the city still strongly linked to the same family that bought it. 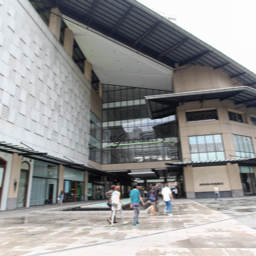 It has since become the central business district of not only Metro Manila but of the Philippines as well. 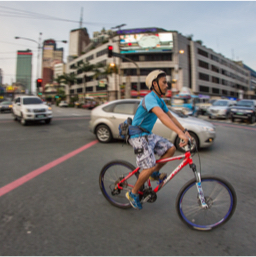 Living in Makati means having to live in a highly urban and international community. Some of the most luxurious hotels are based here, and foreign nationals come and go in Makati, either for business or for leisure. Still, those who are watching their spending will have plenty of options to choose from (if only for food and having fun), while still enjoying the cosmopolitan life. Rent in Makati can be prohibitively expensive, so many people who have jobs in Makati choose to live in nearby cities, or find friends who can share the rent with them. The city is filled to the brim with towering buildings and traffic can be a headache, so driving and commuting can be stressful. Plan ahead before you start your travel, or hang out in any of Makati's bars, cafes, or restaurants while waiting the rush hour to die down.